President Trump on Friday said it's "pretty obvious" what he meant when he tweeted earlier in the day that the U.S military is "locked and loaded" to handle North Korea -- and he meant it. "Well I think it's pretty obvious, we are looking at that very carefully and I hope that they are going to fully understand the gravity of what I said and what I said is what I mean," Mr. Trump said, asked in Bedminster, New Jersey, what he meant by his Friday morning tweet. "So hopefully they'll understand ... exactly what I said and the meaning of those words. Those words were very easy to understand." Mr. Trump, who has attracted notice this week for his aggressive stance on North Korea, while some members of his cabinet tone down his rhetoric, dismissed the notion that his comments have contributed to escalating tensions and the North Korea crisis. 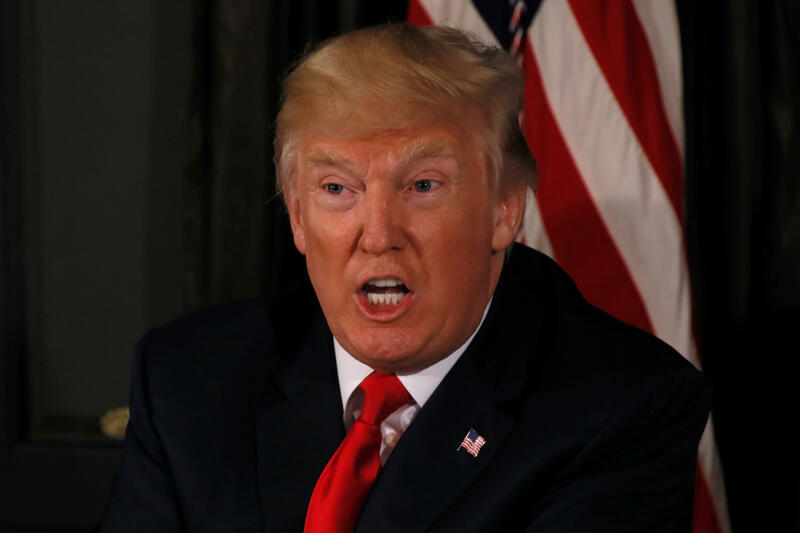 Mr. Trump has threatened to unleash "fire and fury" on North Korea if it pursues launching nuclear weapons, and on Thursday said perhaps those comments weren't tough enough. Trump: Military options are "locked and loaded"
"Well you know my critics are only saying that because it's me. If somebody else uttered the exact same words that I uttered, they'd say 'what a great statement, what a wonderful statement,'" Mr. Trump said on Friday. "They're only doing it but I will tell you, we have tens of millions of people in this country that are so happy with what I'm saying because they're saying finally we have a president that's sticking up for our nation and frankly sticking up for friends and our allies." "And this man will not get away with what he's doing believe me," Mr. Trump continued, without mentioning North Korea's leader Kim Jong Un by name. "And if he utters one threat in the form of an overt threat – which by the way he's been uttering for years and his family has been uttering for years, and if he does anything with respect to Guam or any place else that's an American territory or an American ally, he will truly regret it and he will regret it fast." Tensions with North Korea have escalated this week, after reports that North Korea is one step closer to being able to hit the continental U.S. with an intercontinental ballistic missile. North Korea says it is preparing plans to be able to strike close to Guam, a U.S. territory to the east of the Philippines.